People who eat 50 grams of bacon a day increase their risk of getting pancreatic cancer by 19 percent. 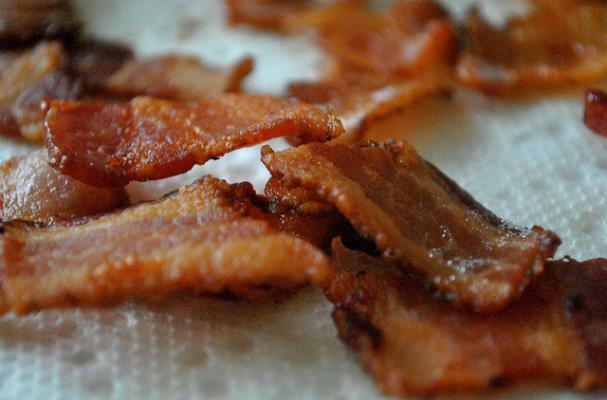 If you eat more bacon, the risk increases still further. 100 grams increases your risk by 38 percent and 150 grams would increase that risk by 57 percent. "Findings from this meta-analysis indicate that processed meat consumption is positively associated with pancreatic cancer risk. Red meat consumption was associated with an increased risk of pancreatic cancer in men," the study said. Bad news for America's favorite breakfast food. Was the study just done with cured bacon or was uncured bacon also included in the study? If the study was conducted based on cured bacon only then w/o a doubt the findings make sense because of the nitrates.